Style, I began considering tile as a necessary element. I learned that S&S Tile, one of the early California art tile companies, had been located in San Jose. S&S Tiles are quite valuable to collectors. They were used in the construction of Hearst Castle and the Steinheart Aquarium in S.F.. To my amazement, I discovered that Stonelight Tile is S&S Tile. The company has gone through several name changes in its nearly century of existence. Stonelight still has most of its original molds and can make many of its historical tiles for its customers. They are also continually designing and producing new, unique designs and can source almost any tile in the world. They are a small facility almost hidden under a freeway in Downtown San Jose. 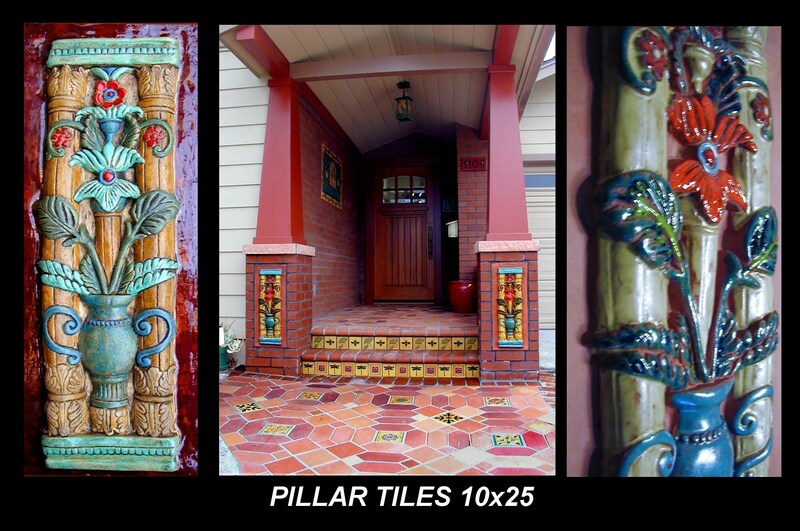 It is run by people who are passionate about art tile and they pass on their enthusiasm to the customer. If you want something other than plain bathroom tile, there is no other place to go. surround. The only other tile work I had done was some 28 years earlier through Stonelight Tile in San Jose. I rang, and sure enough they are still around and as helpful and considerate as ever. They not only came up with a design that suited the era of the house, they organized the whole job from plumbing to tiling and were neat and tidy in doing it. I am thankful they are still around after all these years, still carrying out design work, providing help and ideas, and making an outdated bathroom a new joy to behold. Thanks Stonelight for a wonderful job. I strongly recommend your services. I’ve spent countless hours scouring design websites for the right tile to redo our bathroom. It’s a search similar to finding the best vacation rental or as it goes in my day-to-day, finding the best Computational Scientists… renovation means research, research, research. Aside from going the custom route (and I do love me some Heath tile from the North Bay) I was surprised by the limited selection at traditional home improvement stores. Really, I started worrying that what I wanted didn’t exist in a realistic price range. So, I mentioned the shape of the tile I was looking for to my dad and he recommended Stonelight. Bad idea to drop by unannounced as they have off hours and the designer isn’t always there. But when the timing was right and I took a look at the selection I knew that this was exactly the place that I needed because they carry tile that suits older style homes (ours is a early 30’s Spanish Bungalow) and the tile was absolutely spot on. The designer quickly came up with two concepts that I never would have imagined without her help. Nice, knowledgeable, definitely a must if you are on a hunt for one of a kind tile and require help on the logistics. It’s a small place right next door to La Penita, one of the top rainy Sunday morning Cocido spots in SJ. Truly the unique selection had me thinking, what can we tile next? And I cannot stress enough their straight forward professionalism and all around goodness. Stonelight Tile is the continuation of the company that made the tile for my house in 1941. The tile is vibrant, and durable. We compared our tiles to brand new ones, and they look the same. Stonelight also has the old molds for the tiles, and the old design book, so if you need to match your Solon, S&S, or Stonelight tile, they can do it. They give presentations at the San Jose Woman’s Club from time to time, so if you’d like to hear about the history of the company, you might watch the club’s schedule. One thing to note about Stonelight is that you should make an appointment if you need specialized assistance, such as matching tiles or having a design consultation. I believe you’ll totally find it worth it, though. The pictures are beautiful, but seeing the tiles in person totally wowed us. Stonelight Tile is simply the only tile source to use. After having decided to remodel my home, inside and out ,in the Arts and Crafts Style, I began considering tile as a necessary element. 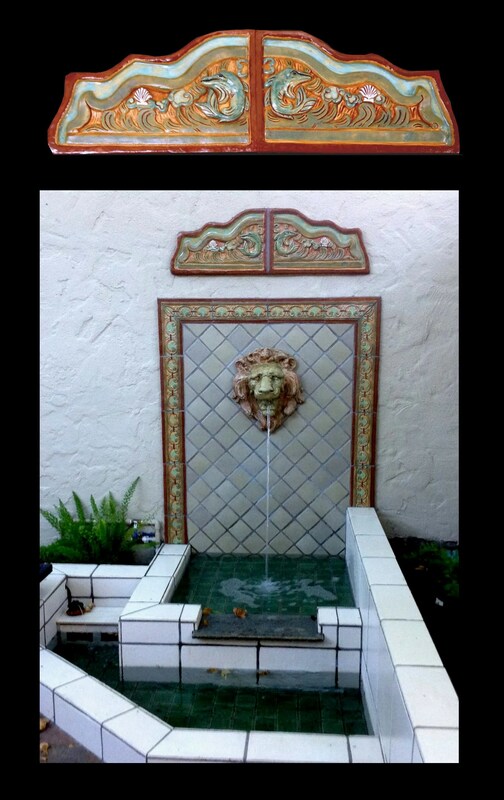 I learned that S & S Tile, one of the early California art tile company’s, had been located in San Jose. S&S Tiles are quite valuable to collectors. They were used in the construction of Hearst Castle and the Steinheart Aquarium in SF. To my amazement, I discovered that Stonelight Tile is S&S Tile. The company has gone through several name changes in its nearly century of existence. Stonelight still has most of its original molds and can make many of its historical tiles for its customers. They are also continually designing and producing new, unique designs and can source almost any tile in the world. They are a small facility almost hidden under a freeway in Downtown San Jose. It is run by people who are passionate about art tile and they pass on their enthusiasm to the customer. If you want something other than plain bathroom tile, there is no other place to go. Dave and his team at Stonelight Tile in San Jose, CA really know the tile business. They are exceptional at relaying vast amount of information on tile, custom tile work, imported tile, kitchen tile, bathroom tile, and outdoor tile structures. I was so impressed. You should call them today. They have an amazing showroom, so call and make an appointment with them now!